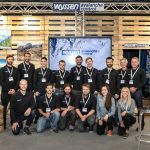 Wyssen Avalanche Control, based out of Switzerland, has been implementing avalanche systems around the world that protect the public since 2000. Their most prominent system, the Wyssen Avalanche Tower, is used for avalanche control in Switzerland, Austria, Norway, Canada, and now also in the United States. In the Little Cottonwood Canyon (LCC) of Utah where the ski resorts of Alta and Snowbird are located, traffic from eager skiers can be an issue and numerous avalanche paths endanger the highway. The UDOT avalanche control team for LCC has their hands full every winter and employs the use of artillery and RACS to mitigate avalanche hazards. 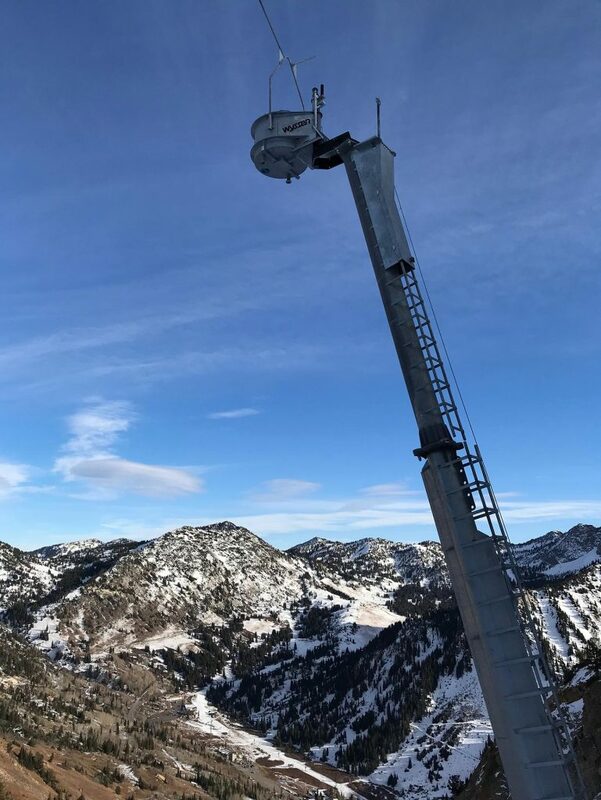 UDOT has been using remote avalanche control systems for quite a few years, but recently added a Wyssen Tower to their toolbox. The Utah Department of Transportation was keen on trying out the Wyssen Tower, and the first tower in the United States was installed in November 2017 in Cardiff Bowl, right across the canyon from Alta Ski Resort. Despite a below average snowpack, it has been used regularly for avalanche control this past winter. The first Wyssen Avalanche Tower in the United States promotes safer mountain conditions by protecting a section of highway in the Little Cottonwood Canyon. In future years, there may be an increase of this technology in Utah and other avalanche prone states such as Colorado and California as well as in more locations around the world.